$1,695,000. 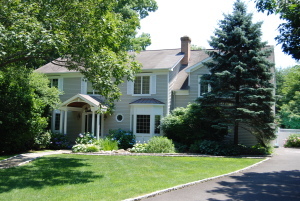 Located behind the ”Y”, this spacious center hall colonial is situated on a lovely acre at the end of a quiet cul-de-sac. With approx. 5,000+ square feet of living space this home includes 9′ ceilings, large windows and French doors which allows for easy entertaining inside and out. 5 generous bedrooms with 4.5 baths, family room with stone fireplace, formal dining and living room and extra bonus room with Palladian windows on the second floor. The finished walkout lower level includes a bedroom, full bath, expansive playroom with built ins and an exercise room. 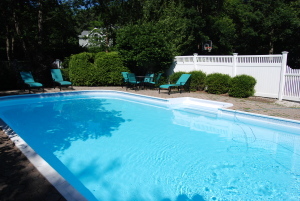 With an easy walk to schools, Waveny Park and the village of New Canaan this is a perfect location.